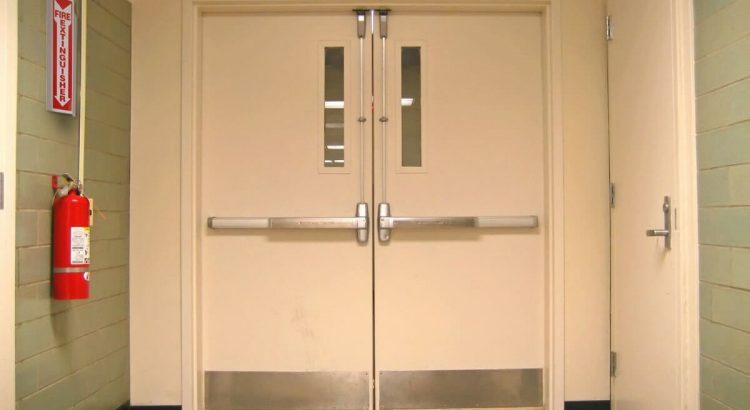 Fire doors are a necessary part of architecture and building design in many locations. While they might not be used a lot of the time, they’re there for a reason: so that building occupants can get out in the case of a fire or other emergency requiring sudden evacuation of a building. One famous instance that might be obvious to many is the location of fire doors at the ends of movie theaters so that patrons have egress points to leave a building without everyone tripping over each other trying to get to the front of a megaplex, which might be where a fire would be happening in the first place. While having fire doors are legally mandated by many state and/or municipal laws and building codes, it’s not enough to just have them. They quite often have to be inspected regularly in order to stay in compliance with the laws and rules that require them. In some cases, the local fire marshall will be the one that certifies them as being okay, but in other cases, it’s the responsibility of the businesses in question to get them inspected by a third-party business who is allowed to certify them as safe and operational. That is where you might have a business opportunity. A market might exist where you live for a fire door inspection business, and it can be good business. Anyone that has fire doors won’t just need them inspected once, but perhaps annually or even quarterly. Any clients you can land inspection services or contracts with might turn into regular and steady business that you get to keep coming back to time and again, and if you’re familiar with the business world at all, then you know that’s some of the best business you can ever hope to get. So what all is involved in starting up a fire door inspection business? For starters, you have to establish yourself as a business. That might be anywhere from one form with a local chamber of commerce to a business license with your secretary of state. You’ll have to meet all the criteria and regulations for forming a business where you live. Then, you have to go through all the red tape and codes and laws again as you make sure your business is certified to do fire door inspections legally, which means meeting certain standards and then maintaining compliance continually in the future. Your whole company might have certain standards to meet, even if only select employees are the ones individually certified to do the actual fire door inspections. Once all that is done, you’ll need to start generating clients. That’s going to mean beating competitors to the punch when new businesses open up, but you’ll also possibly have to undercut others when you reach in and poach pre-existing clients and contracts. It’s a lot of work, but it means steady business and profit, all while providing a valuable service that keeps people safe and alive in the event of an accident or tragedy.